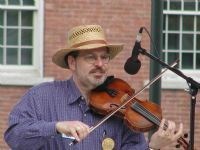 Whether you're a fiddler looking for tunes and techniques, or a classical violinist interested in trying fiddling, Dave Reiner can help! And so can Andy Reiner, who now lives near Boulder, Colorado. Dave's been teaching for years, and knows a lot of excellent tunes in bluegrass, oldtime, Irish, swing, and other styles. He can show you the best bowing patterns, demystify chords and theory, and help with variations, harmonies, contests, jam sessions, and playing with a band. Dave teaches about one or two days a month out of his home in Lexington, MA. Fees are $50 an hour or $70 for an hour and a half. It's helpful to bring some kind of tape or MP3 recorder to lessons. Thanks to all Dave's students who attended Fiddle Hell last November. Next Fiddle Hell will be November 1-4, 2018, in Westford, Massachusetts. Don't forget the concert and contradance on November 3rd at Fiddle Hell! Fiddlers: Fiddlers usually play a lot by ear, and are familiar with the tunes and traditions of their favorite style(s). They may be looking to improve their left- or right-hand technique, learn new tunes, understand backup or improvisation, or make their playing come alive in a certain style. Violinists: Violinists usually bring a lot of good technique to the fiddle, and often find they need some focus on specific styles, fiddle bowing techniques, tune repertoire, improvising, and playing by ear. Beginners: Sorry, Dave doesn't teach beginners, since they need more frequent lessons to get started. However, Andy teaches beginners. Mandolin players: Yes, Dave teaches mandolin, too. It's tuned GDAE like a fiddle. Next lesson days: None currently scheduled for Dave. Call or email to sign up for a lesson slot. Recent tunes Dave's students have learned include: Pigeon on the Gate, June Apple, Bile Them Cabbage Down, Reuben's Train, Peacock Rag, Wild Rose of the Mountain, Down Yonder, The Gale, Santa Anna's Retreat, Panhandle Rag, Crazy Creek, La Rencontre des Dames, Shove the Pig's Foot A Little Further in the Fire, Seneca Square Dance, Dixie Blossoms, Road to Lisdoonvarna, Kesh Jig, Old Grey Cat, Tennessee Waltz, In the Pines, Garry Owen, All the Good Times Are Past and Gone, Minor Swing, Big Sciota, Draggin' the Bow, Round the Horn, Pig Ankle Rag, Catharsis, Orange Blossom Special, Hare in the Corn, Cooley’s Reel, Nail That Catfish to the Tree, Roddy McCorley, Roll In My Sweet Baby’s Arms, Milk Cow Blues, Devil’s Dream, King of the Fairies, Foggy Mountain Breakdown, O’Keefe’s Slide, Wabash Cannonball, Flatbush Waltz, Lemon of Reality, Little Betty Brown, In A Continental Mood, Blues for Cindy, Lonesome Fiddle Blues. Lessons from Andy Reiner: Andy Reiner is an experienced teacher located between Boulder and Denver in Colorado. Andy offers lessons in many fiddle styles: Irish, Bluegrass, Old Time, Swedish, Cape Breton, Scottish, Blues, and more! If you are learning Classical/Suzuki music, great! You can play fiddle tunes too! Andy is also happy to teach “chopping” technique, improvisation, and groove. Lessons are generally taught by ear, and include sheet music with bowings and in many cases custom backing tracks for fun practicing! He is also able to teach lessons over the internet via webcam. Andy teaches beginners through advanced players, on fiddle or mandolin. His rates are $40 per half hour, or $50 for a full hour. Andy also offers the following educational services: custom backing tracks: to practice anything in the world that you are excited about, and transcription services: he will transcribe anything and can transpose to any clef needed. This includes but is not limited to solos, tunes, and drum grooves. Get in touch... Email Andy or call him at 781-696-7724.